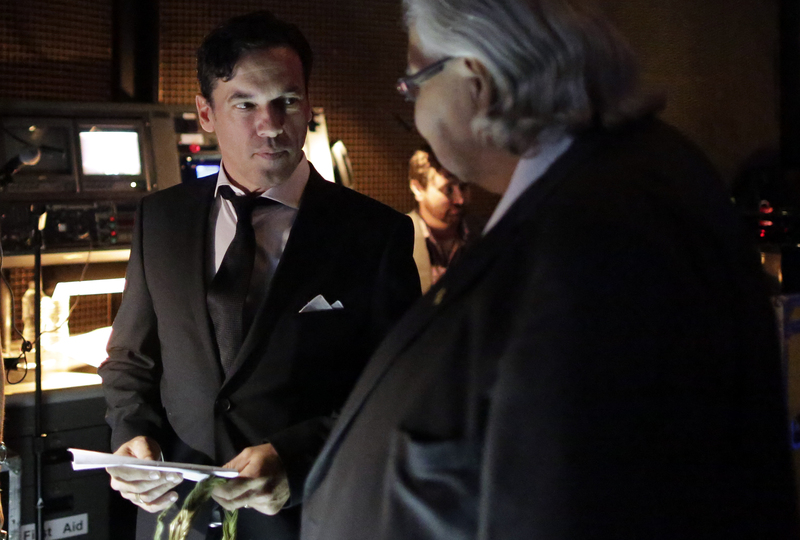 Award winning author, Joseph Boyden speaks with the Honourable Justice Murray Sinclair prior to taking the stage to discuss the Royal Winnipeg Ballet’s production, Going Home Star. The company kicked off its diamond anniversary season with this world première choreographed by Mark Godden. It’s a work 10 years in the making, first envisioned by late Cree elder/activist Mary Richard and artistic director André Lewis, and in turn supported by the national Truth and Reconciliation Commission and the production’s associate producer Tina Keeper. The nearly two-hour story ballet openly acknowledges Canada’s painful legacy of government-sanctioned residential schools, where indigenous children were ripped from their families and forced into boarding schools.